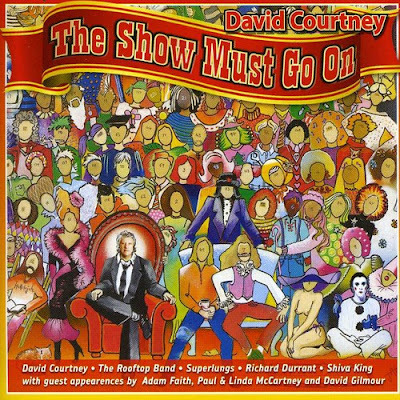 Can you name one song by David Courtney? If not one that he recorded under his own name, can you name a tune he wrote for someone else? If the answer is 'NO' then that's a real shame because Courtney was (and still is) a gifted British songwriter that deserves your attention. He's written tracks for many artists and has remained a songwriter first, although he released some mighty fine albums under his own moniker. 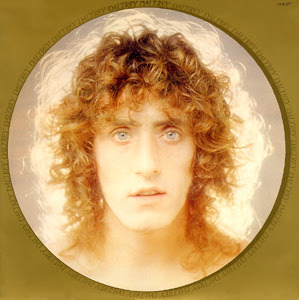 While he did have great success by discovering and co-writing much of the early Leo Sayer material, his name, so far, has only been remembered by those who pay attention to liner notes and have a knowledge of rock's more obscure artists. And lets be honest, we know that a good portion of bands on those obscure lists can be loads more talented than the bands that had a substantial commercial breakthrough. Apart from working with Sayer, Courtney is responsible for co-writing all of Who vocalist Roger Daltrey's first solo album, Daltrey, in 1973 either with Sayer or with British pop star/actor Adam Faith. Speaking of Adam Faith, Courtney was responsible for getting the British icon back into the studio after nearly 20 years away. 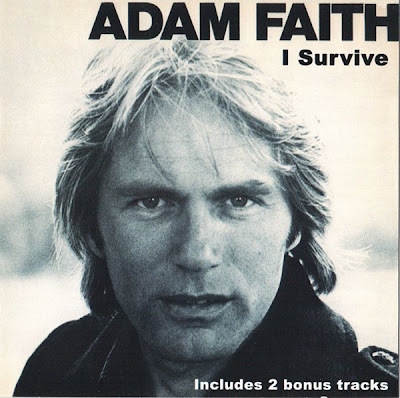 The album that they worked on together, I Survive (1974), was worlds away from Adam's teen pop recordings from the the early '60s. I Survive was the work of two artists intent on creating a new image for Faith, one which would show that he was a serious musical artist and not one that lived on past glories. More like Ronnie Lane's earthy recordings or perhaps The Kinks and David Bowie's more acoustic-based '70s work, I Survive was an eclectic showcase for all involved. The album featured guest appearances from Paul & Linda McCartney, Ritchie Blackmore, Russ Ballard, Bob Henritt and Martin Birch. I Survive wasn't the commercial success that everyone hoped for, but the album received positive reviews and has withstood the test of time. The 2010 reissue on Angel Air Records features two additional bonus tracks. 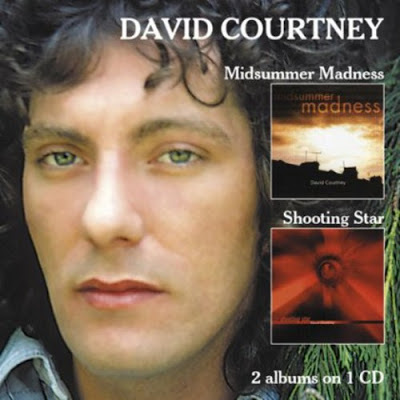 As for David Courtney's own solo releases, he may not have been prolific but the handful of titles released under his own name are well worth any music fan's time. The early Kinks and Bowie references can be applied here as well, but there's also a tip of the musical hat to Bob Dylan, music hall, '60s pop, tin pan alley and so many other genres that weave in and out of each song. While they are certainly the work of the same artist, Courtney's albums don't stand in one place too long. 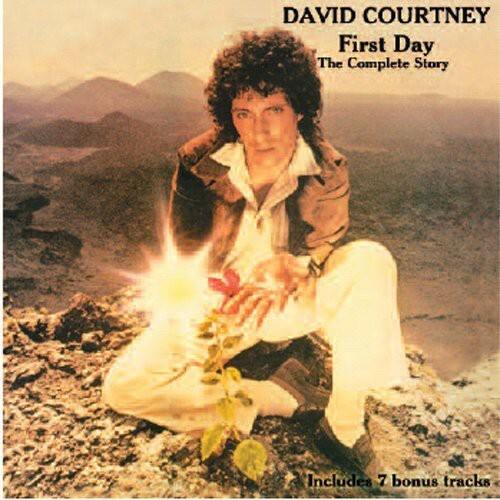 David Courtney's First Day was his 1975 debut solo album and is a wonderfully unique release that features loads of great tunes that are filled with more musical ideas than most artists' entire career. 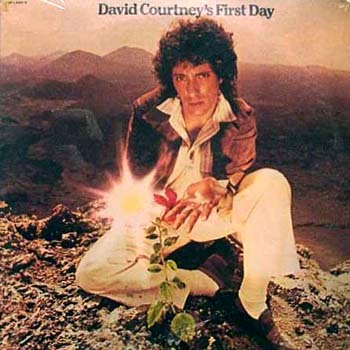 The orchestral opening ("Silverbird") makes way for the Spector-esque production of "Don't Look Now" followed by the Bowie-goes-Country vibe of "Everybody Needs A Little Loving". And that's just the beginning... The album works because Courtney is a great songwriter who knows his way around a hook but prefers to do things his way and doesn't always conform to the standard songwriting or arranging formula. With musical assistance from David Gilmour, Tony Burrows, Russ Ballard, B.J. Cole and many others, David Courtney's First Day is thinking man's Pop Rock. The album received great reviews and made an impression in the Pop charts as well. The Angel Air Records reissue adds seven additional tracks. When it came to following up such a monumental release, Courtney went back into the studio in 1976 with most of Argent and cut his second solo album, Midnight Madness. The album was completed and ready for release but Courtney felt it wasn't worthy of being the follow-up to First Day so he shelved the entire project. Four years later, he went back into the studio and recorded the Shooting Star album (named after the hit single he wrote for the pop duo Dollar). Shooting Star was a synth-laden affair yet it still managed to retain all the charm of his previous output. Sadly, he chose not to release the album and shelved it as well. He eventually released the albums in limited quantities but they were extremely difficult to get ahold of. Thankfully, Angel Air Records has compiled both albums on one CD and that release is due in January 2013. 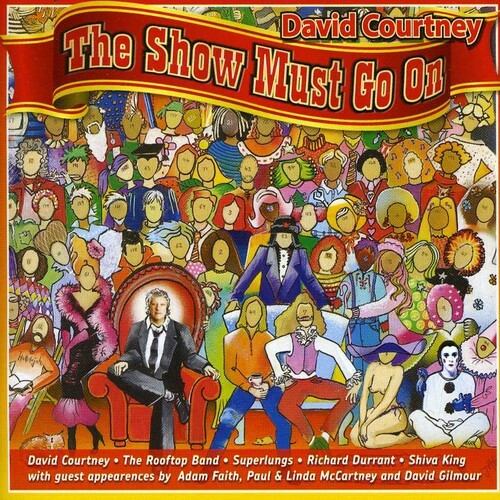 In 2012, Courtney released the album The Show Must Go On, which was a musical journey through his long career and contains new recordings of songs he did with Sayer, new material and some classics from the albums listed above (including a few from Adam Faith). While not a 'hits' collection. The Show Must Go On is both an introduction to the man's great work and a step forward while looking back. Like all his releases, it's top notch and contains songs that will make you wonder why on earth he has remained in the background for so long. David Courtney. Remember that name.